What is Search Console in Google Analytics | Web SoCal, Inc. According to Google: The Search Console reports in Analytics provide information about the performance of your organic-search traffic. 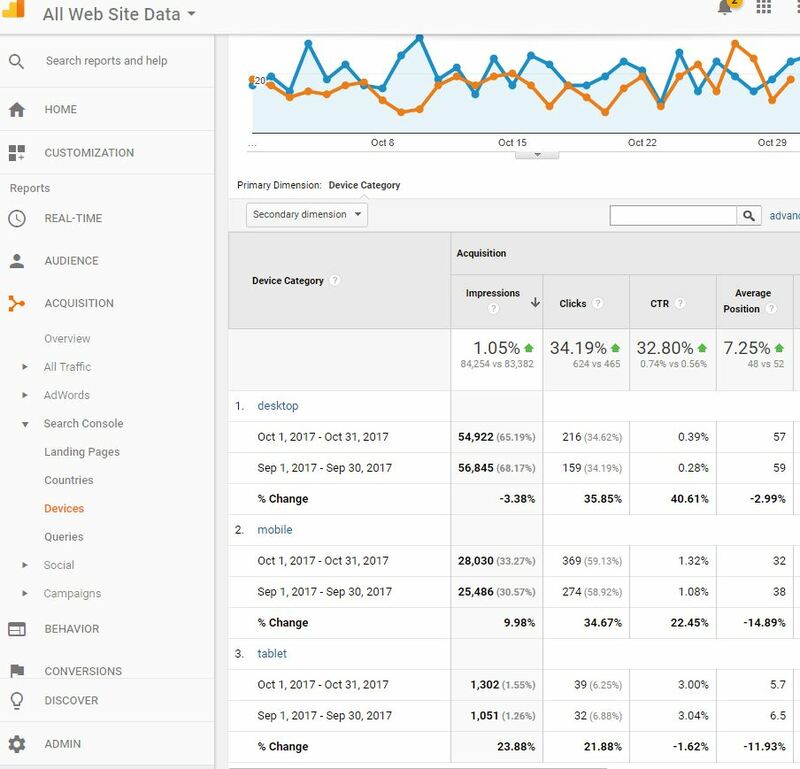 You can see data like user queries and the number of times your site URLs appear in search results (impressions), along with post-click data about site engagement like bounce rate and ecommerce conversion rate. This combination of data helps you optimize your site for the most profitable traffic.